The business and entrepreneurial communities in Wake Forest and the Research Triangle region have created one of the most advantageous locations for business and development in the nation. Our region boasts the largest research park in the country, diversified partnerships with world-renowned universities and access to cutting-edge technologies. Only minutes from Raleigh, the state capital, and home to over 43,000 residents, Wake Forest is a community as dynamic and forward-thinking as it is rich in history and charm. 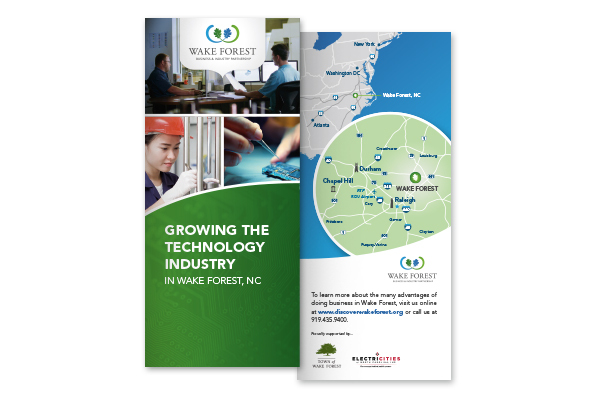 Sign up to receive the latest news from the Wake Forest Business & Industry Partnership. As part of the rapidly growing Triangle region, the Wake Forest community enjoys all the benefits of metropolitan living, yet has carefully maintained its small town charm and unique identity.